I decided to share my love for New Orleans in the very first, after intro, blog post. Seems fitting, as for those of you who know me know how much it means to me. It got under my skin and into my heart and it's staying for good. I feel at home when I'm there. I feel like my true self. Ever since my first visit in 2010, I knew there is something special about this place. It’s a lot of things really.. it’s the live music on every corner, it’s the delicious southern food and the amazing architecture but most of all it’s the people, the locals that make up this gem of a town. NOLA has four seasons: Mardi Gras (Throw me something, Mister! ), Crawfish (yum! ), Snowball (yum again!) and Football (Who Dat!).. the only other season that lasts throughout the year is, well, the Festival season.. there is truly a festival for everything and anything (food and music related mostly ;)) and something exciting going on all.the.time. Crawfish boils, Frenchmen Street music clubs, hole-in-the-wall bars, jazz funerals, cemeteries, second lines and parades, they all need separate blog posts and it'll happen.. just heads up, y'all! A simple stroll through the French Quarter or Garden District fills me with so much joy I could burst! 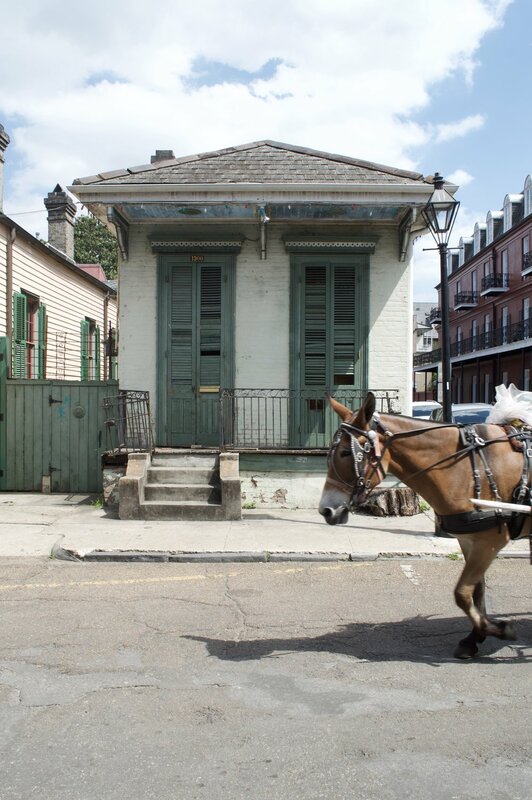 New Orleans is unlike any other city in the United States and unlike any city in the world! When it's time to make groceries (a phrase that originated here and means going grocery shopping), a short walk to the store could take you an hour or longer, cause you’ll either bump into someone you know or a stranger who wants to say hello, comment on the weather or tell you a story. New Orleanians are great story tellers. Of course the city has its problems: a high crime rate, poverty and crazy scary weather conditions, often devastating, but there is no other place like it, with so much soul and perseverance. There is no place I’d rather live.. and one day, I will..
My soul place, my home, my NOLA. It’s a city for dreamers! It’s full of stories, music and food. Really amazing food. I can’t seem to leave New Orleans, even if I physically do, it’s as if a part of me stays there, every time I visit. So if you have never been, you should take my word for it.. pack up and go! Like I mentioned, New Orleans is home to an incredible food scene. Great restaurants, chefs and bloggers. In my next post I will try to recreate a recipe for a New Orleans’ classic: BEIGNETS!